Centerpieces are the focal point of any reception. They can be simple, elaborate, elegant, casual, and even quirky. No matter the design and no matter the price tag, centerpieces cannot highlight the reception or the wedding on its own; it needs to be in collaboration with the overall motif and theme of a wedding to best serve its purpose. Contrary to popular opinion, a wedding centerpiece need not be expensive to be unique or inspiring. With a little ingenuity and creativity and a lot of research and window shopping, there is no question that the best wedding centerpiece can be found in the most unexpected items including edibles like wedding cookies. For a beach, Caribbean or cruise themed parties, sailboat tea light holders in frosted glass, arrayed in groups of four to six on a table, make an elegant centerpiece for formal set-ups. For a more casual option, seashells personalized with names, monograms and wedding dates, laid stylishly on a handful of sand and tiny starfish should do the trick. For garden, spring and summer themes, miniature bamboo and palm plants gathered in the center could serve as a refreshing centerpiece. Depending on the pots, hash tags and other embellishments like ribbon, these centerpieces could work for both formal and casual settings. Miniature flower pots filled to the brim with plants or edibles like candies, almonds, potpourri and packets of seeds are interesting alternative for the very casual-oriented couple. 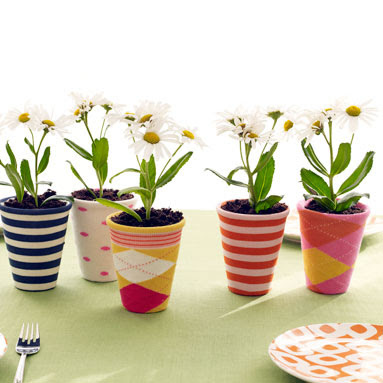 Fabric flower pens in pots when gathered in the center can be a fun and enjoyable centerpiece too. For very formal settings, mini bud vase, personalized with names and dates, when filled with the right flower will surely be adored. For a polished, classic look, glass and silver creations would a fabulous wedding centerpiece. Personalized votive holders and glass photo coasters, grouped fashionably in the center would delight guests. Candle holders in snowflake form fits both classic settings and seasonal themed weddings, which also works for Chinese takeout box candle holders in frosted glass. These ideas for wedding centerpieces are as innovative as they are sensible. 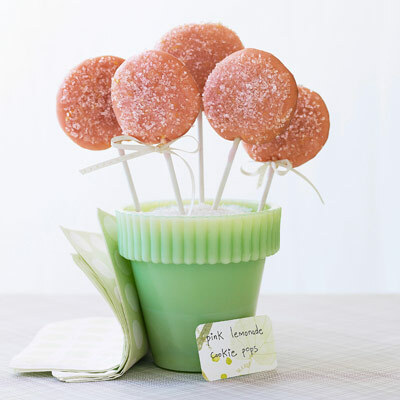 These items can serve as party favors for guests to enjoy when they leave the party. Lastly, for a very unique and sassy centerpiece, edible goods like wedding cookies might be a worthwhile road to venture into. Signature petit fours are elaborately decorated bite-sized cakes. 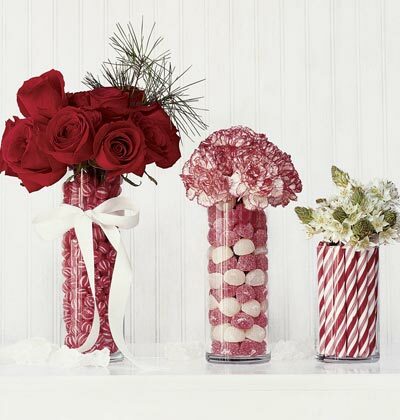 When placed in layers or tower, these treats can serve as a sweet touch to even an elegant setting. Mini monogrammed brownie favor pops set in a glass or porcelain platter is an equally tasteful alternative too. Wedding cookies in various styles serve the whims of both the casual and the fancy couples. Place wedding cookies in stylish platters to serve as a wedding centerpiece. Wedding cookies can take the form of playing cards, spades and dice for that Vegas themed wedding, fall leaves for autumn weddings, bees and flowers for spring wedding, snowflakes and mittens for holiday weddings, fortune cookies for Asian themes and tiered cakes and hearts for traditional weddings. For more formal settings, personalized photo cookies of the bride and groom in white, silver and platinum colors would be the ideal choice.